I have been always a fan of AKG as they are among the top manufacturers of high-end headphones for many years. This is a very well-established brand that is being used by professional musicians all over the world. 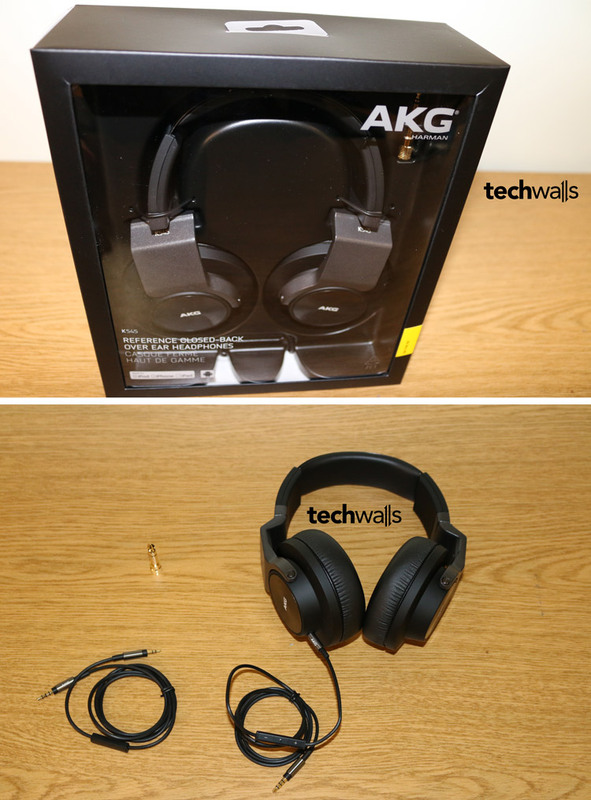 That’s why I am so excited to review the newest headphone in their collection, the AKG K545. AKG K545 headphone was officially announced at IFA 2013 and it was claimed to be the next step in design solution that could bring studio audio quality to a portable headphone. Let’s read on for our detailed review of the reference closed-back over-ear headphones. 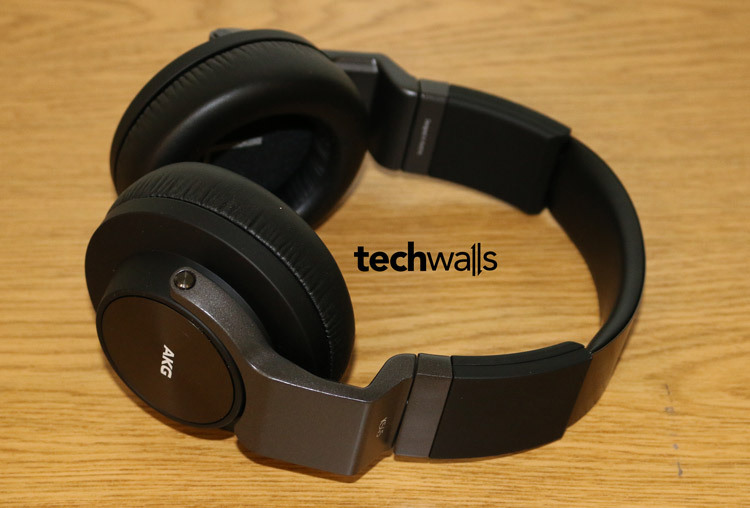 AKG K545 is the next generation of the AKG K550 but it has a much more portable design, which is very useful for people looking for a headphone for their mobile devices. Watch our unboxing video and overall look of the headphone below. The closed-back headphone is designed in Austria and I’m pretty amazed at how they built it. It doesn’t feel cheap like many other headphones out there. The earcup holders seem to make of aluminum but the weight is still very lightweight. It is so sturdy that I believe I could drop the headphone and it wouldn’t be broken. You will have the feeling of using a high-quality product when using this headphone. This is absolutely not the most comfortable headphone I’ve used but it is acceptable. 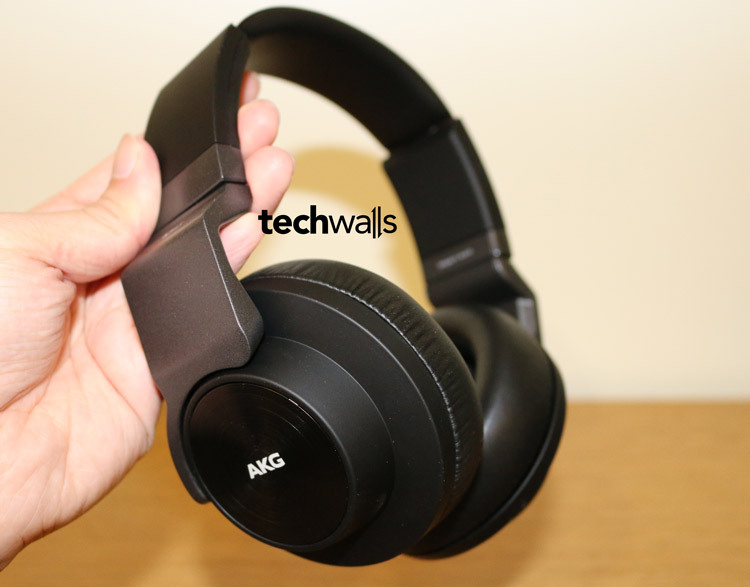 I tried wearing the AKG K545 in over an hour and doesn’t feel anything unpleasant at all. The earcups are well-cushioned and covered with fine leather. You can see that the cushion is quite thick and it will create a small distance between your ears and drivers. Overall, it will isolate noises and you will enjoy a better listening experience. I just don’t like the cushion on top, it seems not thick enough and I can easily feel the headphone is leaning on my head and my ears. The K545 is supplied with 2 cables, one is the cable with three-button MFI remote which is compatible with iPhone, iPad, iPod and Macs, one is the cable with universal one-button remote which you can use for Android and Windows devices. Both of the cables are detachable and include an in-line microphone. One thing I don’t like is that the cable is too short, it is just 3.9′ but I think it is enough for on-the-go purposes. The headphone can be folded flat for easy storage in your backpack. Unfortunately, there will be no carrying case included in the box. Overall, I don’t have any significant complaint on the design, it is so impressive. My review unit is black, and there are some more color options for you, such as the white, black/orange and black/turquoise. The first thing I have to say, the AKG K545 is among the best headphones I’ve ever used. I heard about reference headphone and I thought it is just a marketing gimmick. Reference headphone is just a term to call the one used as comparison point for other headphones, it doesn’t mean an accurate headphone. However, the K545 is really a great product and I could use it as my reference headphone. I tested the headphone mostly on my Macbook Pro and it did a very good job. The sound is very well-balanced and I love how beautifully it represents all notes, from low to high frequencies. 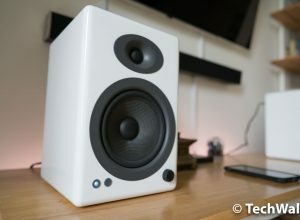 Don’t expect the K545 will deliver an overwhelmed bass response like Beats, I myself hate that uncomfortable heavy-bass sound. However, that doesn’t mean the bass sound is not impressive. Actually, it is very smooth and even stronger than its predecessor K550. It also makes our ears comfortable and I can easily use the headphone nonstop for hours (actually, I have to take it off a few times just because my ears are too warm). The mid-range and high frequencies are represented impressively as I expected. Again I have to say this deliver a very beautiful mid-range and treble sound. Every note is clear, crisp, detailed and accurate. I almost get lost in the great listening experience and believe or not, I use this headphone for at least 2 hours a day in the last week. As I mentioned earlier, there is a small distance between your ears and the two 50mm drivers and it helps create a better sound stage. However, as the earcups’ size is reduced compared to the K550, it also compromises the sound stage. This is understandable because AKG tried to make this headphone more portable. Anyways, this is just a small difference and it won’t affect the overall sound stage at all, you will still can visualize the sound sources. Very clear, crisp and beautiful mid-range and treble sound. This is really not a comfortable headphone. Soundstage is slightly weakened due to small earcups. The AKG K545 is available on Amazon for $200. I will use this as my reference phone, so this is another product I want to recommend, you won’t be disappointed. Excellent headphones that are worth every penny. One question i have, don’t you think it is a bit overpriced? This is a high-end headphone and I don’t think it is overpriced. Its old version is still listed for around $230 at the moment, that means its value drops by just $60 after 2 years. My question is about the headphone jack, will it be able to fit into an iPhone with an Otterbox Defender on it? I don’t want to buy an expensive pair of headphones only for it not be compatible with the case I’m using. Also which between these and the Sennheiser Momentums which ones do you prefer? I was also very surprised as the carrying case is not included like the specs said. I’m not using an Otterbox Defender case on my iPhone but I tried the Otterbox case on Samsung Galaxy S4 and there was no problem at all. I am not sure about the Sennheiser Momentums because I haven’t tried that one yet. AKG K545 is a decent headphone but if you are expecting an impressive bass response, this shouldn’t be your choice. No not at all, just want a pair of headphones that are all around great for hip hop, country, house and alongside watching YouTube and movies on. 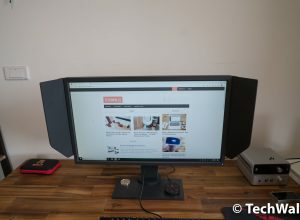 The K454 is great for country, Youtube and movies and I think you will prefer this one because it is much more portable than the Momentums. I’ve just tried some hip hop and house music and it is not bad at all. 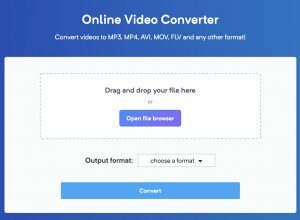 I will review the Momentums in the next 1-2 weeks and I could give you a better recommendation then. Awesome and honest review I would say. 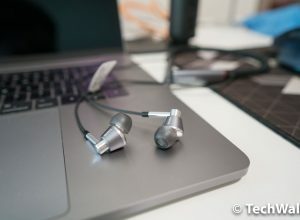 Due to small ear-cups, will it affect the sound quality in the outdoors? Other than that, this looks a favorable headphone to buy.